VOLUNTEERS! We Need Your HELP!! 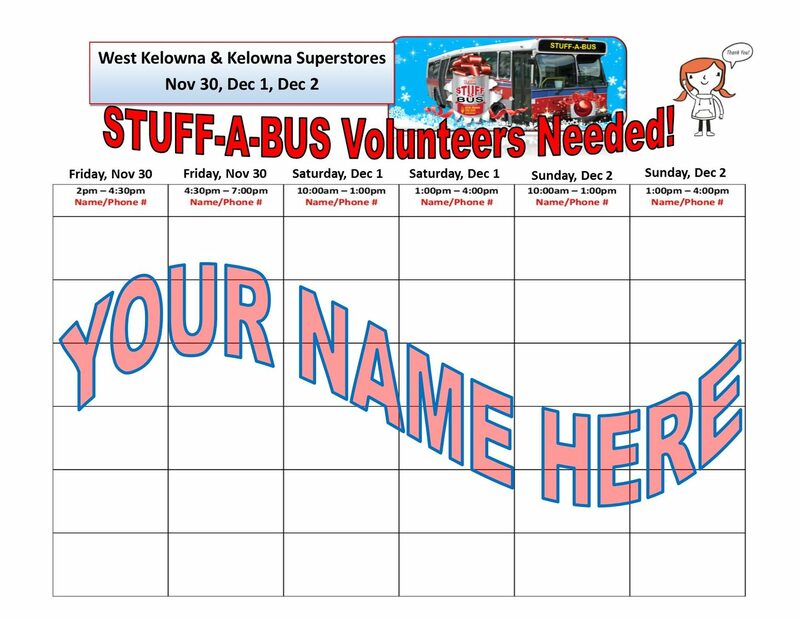 STUFF-A-BUS is coming to Real Canadian Superstores Kelowna & West Kelowna and we would love for you to join our volunteer team at this most important event! Please contact our Kelowna Branch 250-763-7161 & West Kelowna Branch 250-768-1559 to sign up.